The long-awaited revised Code of Practice for the Care and Handling of Pullets and Laying Hens has been released. You may remember that in 2016 VHS called upon you to submit your thoughts to the committee during the comment period. First, an explanation. The codes of practice, according to industry and the National Farm Animal Care Council (NFACC), are nationally developed guidelines. Yes, guidelines. They contain ‘requirements’ and ‘recommended practices’. ‘Requirements’ represent a consensus position that the required measures are to be implemented. Yes, a position. Those who fail to implement requirements may be compelled by industry to comply. Requirements may be enforceable under federal and provincial legislation. ‘Recommended Practices’ promote ‘producer education’ and are generally expected to ‘enhance animal welfare outcomes.’ Failure to implement them, according to the Council, doesn’t imply acceptable standards of animal care are not met. One of the most egregious failing of the new codes, in our opinion, is that they do not require a system to enforce the requirements or the recommended practices. They do not mandate a third-party animal welfare auditing system, as occurs in organic egg production. There is nothing mandatory in place to ensure that farmers are complying with requirements or recommended practices. The failure of the codes to recommend a phase-out of all cages is also an egregious omission. 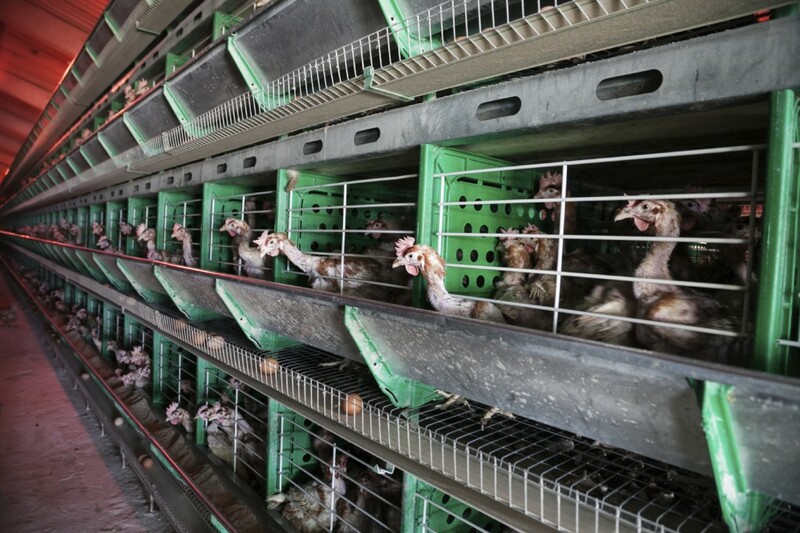 Although conventional battery cages are to be phased out by July 1, 2036, and although industry has committed to transition a minimum of 85% of hens within 15 years, ‘enriched’ cages are considered to be an acceptable option. Enriched cages still restrict key behaviours like running, full wing-flapping and flying and do not permit unrestrained perching and dustbathing. Even in an enriched cage system that meets the code requirements, many of the welfare problems inherent in battery cages remain. In Europe, where enriched cages have been used for years, investigators are finding the conditions for hens to be little better than they were in battery cages – anxious hens with beaks severely trimmed, bodies badly feather-pecked, perches too low, too many hens crammed in, lives spent on wire floors or dirty perches and inadequate nesting and foraging opportunities. This seems incredibly short-sighted, considering that most of the major retail and restaurant companies in North America have committed to sourcing cage-free eggs to meet the demands of consumers, and most of them, well before 2036. This looks to be a case of the fox guarding the henhouse, and it will now be up to consumers to continue to demand cage-free products – or the least inhumane – certified organic eggs. Or just don’t buy eggs at all.